The event brought together former KHMW prize winners and members of the Nationale Denktank, with the aim of discussing how a circular economy can be achieved within our society. The goal of a circular economy is to minimize waste, emission and energy leakage by closing material loops. Enticing speakers shared their views at the event. Futurologist Freija van Duijne gave an inspirational lecture sharing with us what she thought would soon be the important issues and technologies, and public speaker Annick de Witt discussed with us the question What is your worldview – traditional, modern, postmodern, or integrative? If you’re interested to know the answer yourself, you can visit her website and take the worldview test. There was also a discussion panel comprised of Harald Friedl (CEO Circle Economy), Hans de Groene (director Vewin), Hans Schoolderman (partner at PwC, Sustainability Group), Arnoud Walrecht (senior manager Sustainability at KPMG), and Harald Tepper (senior direct Circular Economy at Royal Philips, group Sustainability). 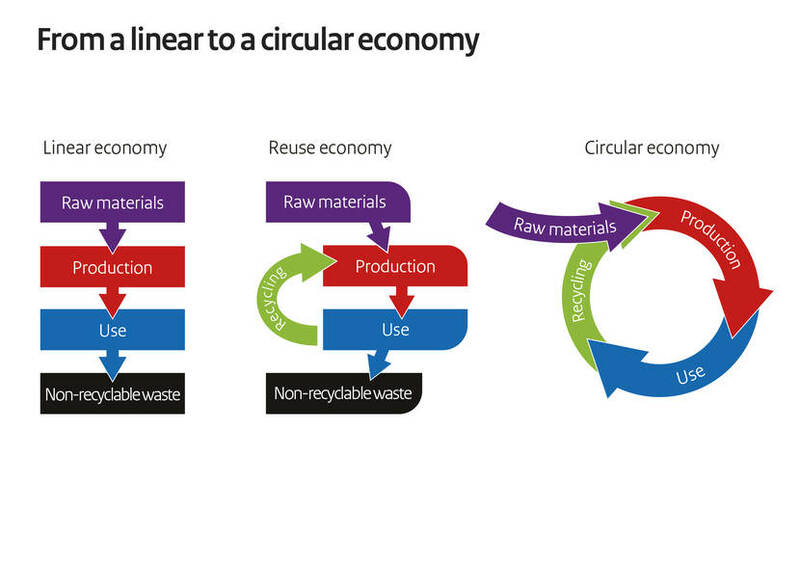 From a linear to a circular economy. Illustration by [Government.nl].